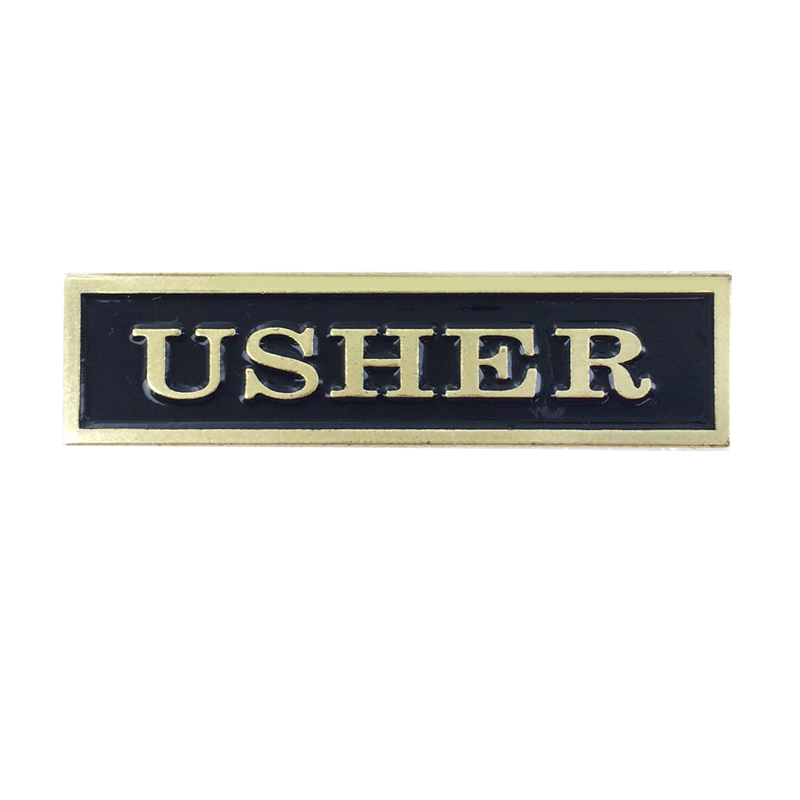 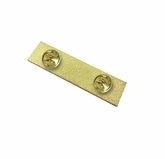 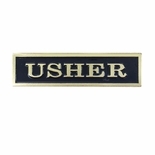 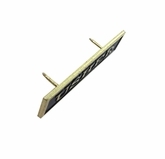 Item Description: Die struck iron pin bright brass plated raised letters "USHER". 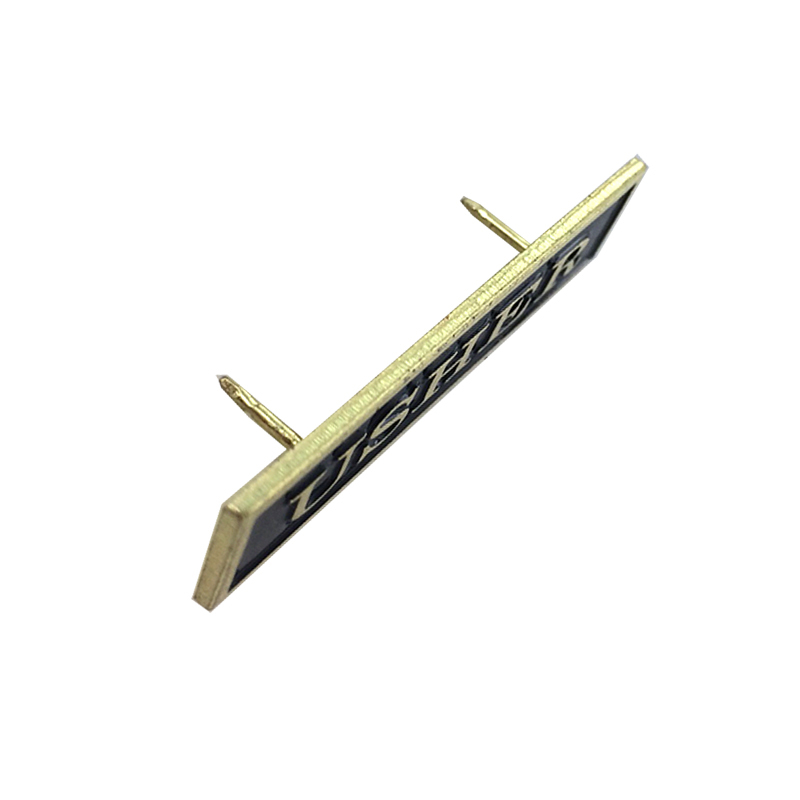 Soft epoxy black enameled background and raised border. 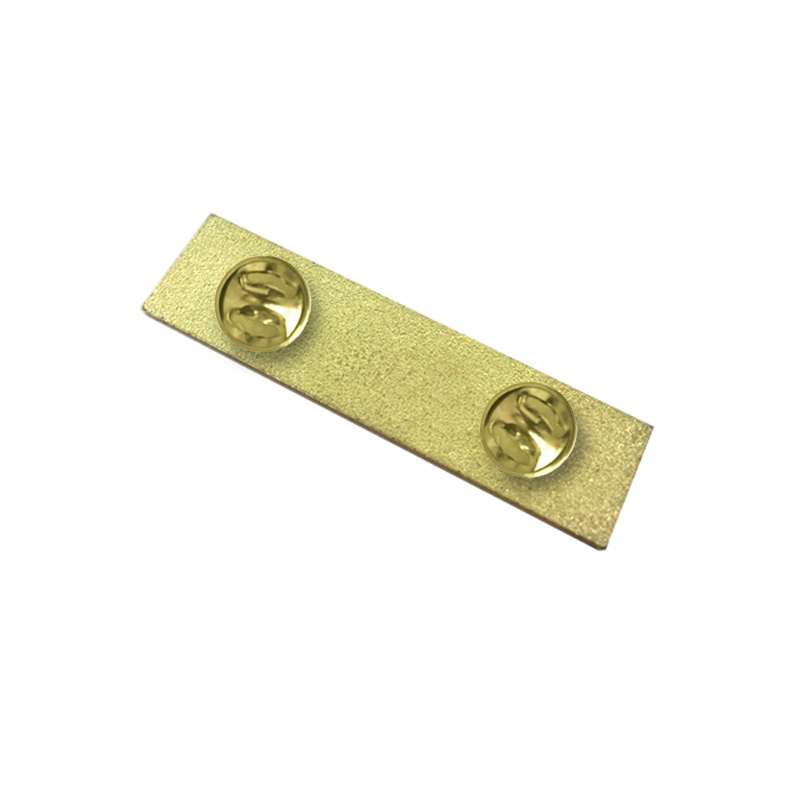 Size 1-3/4 inch length x 7/16 inch height.